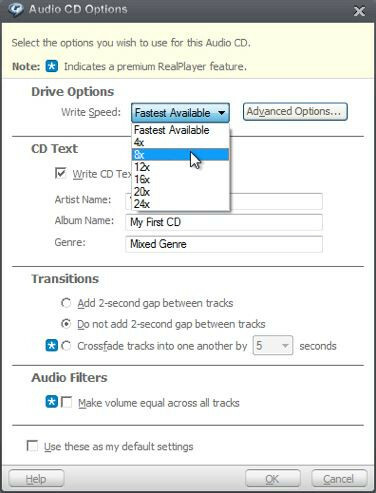 Burn all audio files to CD in easy steps. Fully support to burn CD on Windows 10, 8, 7 and XP. Burn music to CD without any quality loss. Offer other helpful functions like DVD/Blu-ray Burner, Data Disc Burner, ISO Burner, etc. For the basic disk burning windows also support burning disks but for advanced burning needs you need to choose the third party software. Over internet there are lots of CD and DVD player programs available which help users to play their audio, video disks on the computer. 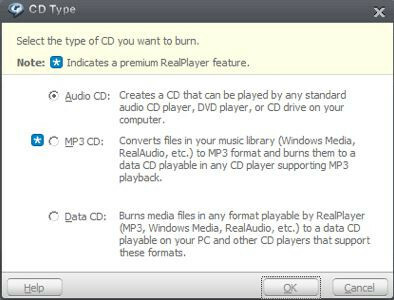 Mostly all players can easily play the disks on the computer but there are some players available that also allows users to burn the multimedia files to CD or DVD as well. In this article we will list CD player burner programs to play your CD DVD and burn multimedia files to disk as well. •	You can burn all kinds of disks such as CD, DVD and Blu-Ray etc. •	This is also available for Mac computers and the program is easiest to use. 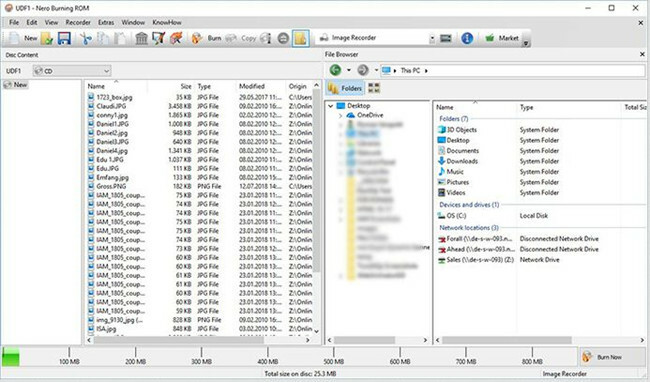 •	You can make data, audio, video and images disks with the software. •	A powerful video editor is available inbuilt in the software to edit the videos before burning. •	The program toolbox comes with a photo slideshow maker to make videos from photos. 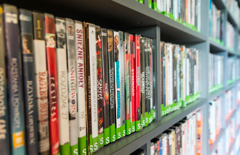 Real Player is the most advanced player software which not only supports playing videos but also allows users to burn all kinds of multimedia format files to disks. This program is used by thousands of professional and personal users worldwide to burn the disks and playing the videos. Real player software also comes with the powerful video downloader that enables you to download online videos to watch offline on your computer. •	It allows you to download online videos from video sites. •	It comes with the video converter as well. •	You can keep your videos private by using a pin password. •	It allows you to stream the videos to TV as well using chromecast or Roku. •	It is compatible in burning the all format multimedia files to CD or DVD’s. 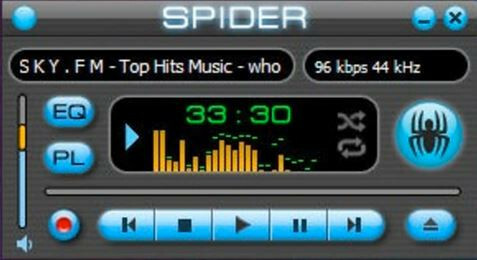 Spider Player is very easy to use software that allows you to play mostly all kinds of audio format files in the player. You can insert the audio disk in the DVD Rom and then play the audio files of the disk using this software. With the audio playing compatibility it also comes with the power of burning CD’s with the audio music. The program is totally free so you can use it without any limitations on features and paying anything. 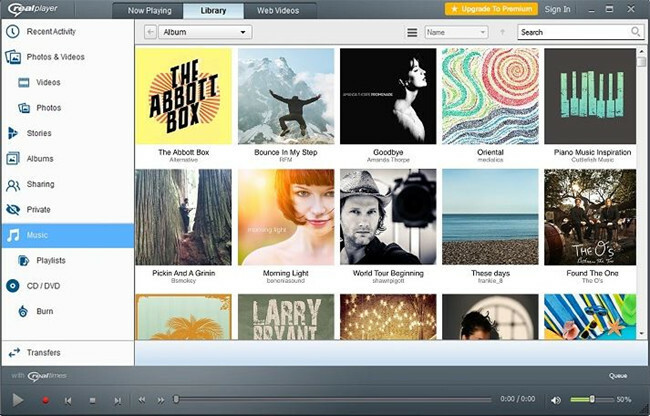 •	You can play mostly all kinds of audio files with the player. •	Allows you to burn audio CD’s. •	With the CD player burner you can directly play your disk in the player. •	You can minimize the playback in system tray. •	The software is free. 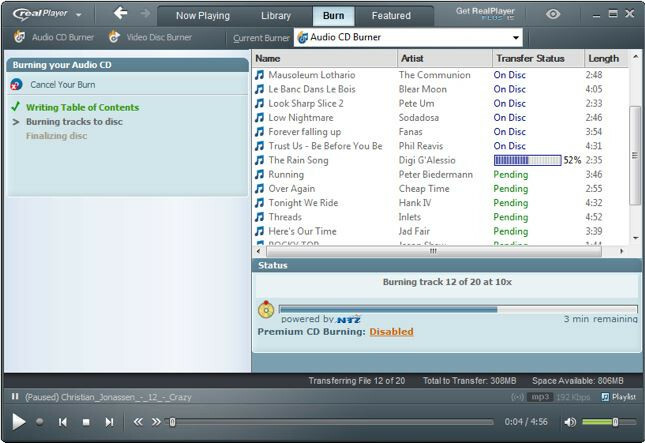 Free MP3 CD burner software is also a CD burner player which is able to play your audio files as well as burn the audio files to CD. This program is only compatible in playing and burning the audio files so if you are looking to burn or play videos then you need to move forward for other program. The program can burn the audio files in original quality and in the high speed without losing the original quality of files. •	The program is free and very easy to use. •	Supports burning and playing audio files. •	The program can easily burn the audio in high speed. •	Supports drag & drop the files. •	You can also save the CD in image formats. 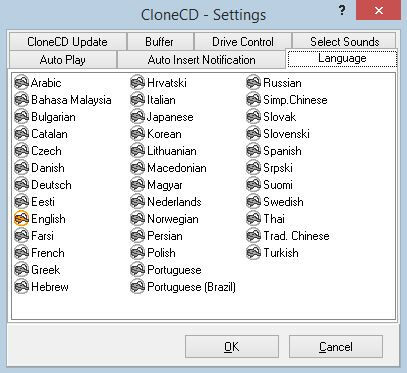 CloneCD is very small but perfect tool to burn the audio, video and other types of data to CD’s. This software fully supports playing all types of audio files in the program interface. It is easy to use software and available for the all versions of windows. You can easily play the burned CD’s using this software in the car CD players. You can backup data using this software. •	It uses RAW mode to copy files. •	You can copy data from the virtual drives, hard drives and CD-DVD drives. •	For expert users there are some advanced options offered in the software. •	Support is very good. •	The program is stable. Nero Burning ROM is the most popular and very old disk burning software provided officially by Nero. Nero also provided many other types of software but Nero burning ROM is really very popular program from Nero. This program is capable in burning mostly any kind of disk. This software also comes in the easy interface for professional users but the beginners may face issue of interface at the first time use of the software. •	You can burn any kind of disk. •	It supports all types of format files. •	The keeps the quality of files original while after burning them to disk. •	The program is fully secure to use for burning the important files. 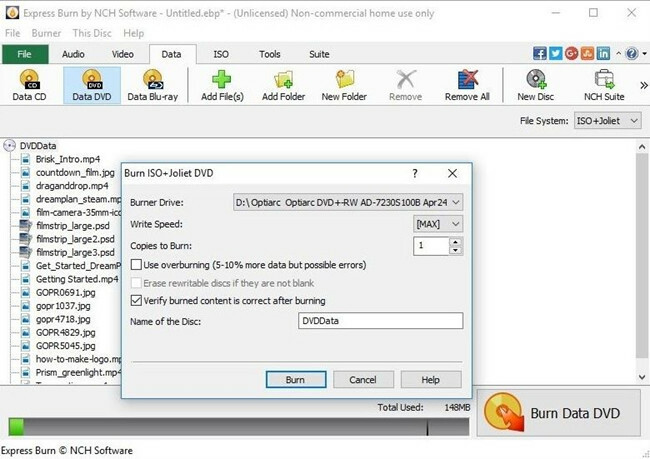 Express Burn Disk Burning Software is a very simple and straightforward disk burner program that also allows users to burn the disks. This software is available for Mac and windows operating system computers for burning disks. You can use this program on the all versions of windows and Mac computer without any issue of compatibility. •	The program comes in the user friendly interface. •	It burns your files in the fast speed to save your time. •	You can burn audio, video and data files to disks. •	It supports mostly all file formats. •	Drag & drop interface. 3nity CD DVD BURNER is a very powerful CD and DVD burning utility for the windows users. This burner program enables you to make audio, video, images and data CD & DVD with ease. The program can automatically process your files to burn in the disks with ease after adding them to the interface. You can also play the files after adding them to know whether the right file is added or not. This burner application can extract information from the MP3 tags. •	The software fully supports drag & drops the files to burn. •	It also works the several disk images formats. •	Burns mostly all kinds of files to CD or DVD. •	You can quickly erase the data from rewritable disks. •	It also supports making bootable disks. Aisesoft DVD Create as the name implies it allows you to make DVD on the windows by burning the videos from your computer hard drive. 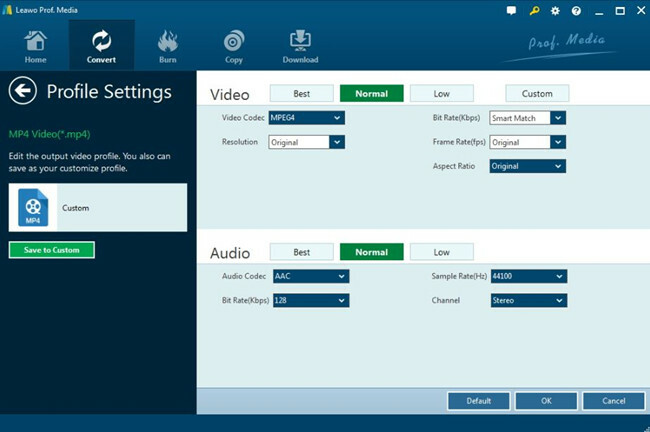 This software allows you to create DVD’s with the audio, video and data from your computer. The program supports the playback of videos in the software interface as well. There are many other options available in the software such as DVD menu templates, burning ISO, adding subtitles or audio etc. •	You can easily create video DVD with the software with your own videos. •	Video editing options are offered in the software. •	You can preview your creations in the real time. •	It comes with inbuilt DVD menu templates. •	You can easily split or merge chapters of DVD’s. Leawo DVD Ripper is a professional CD player burner which is able to burn your files to disk and play the audio and videos in the interface directly. This software comes with easy interface so everyone can use it without any effort. The program is able to extract audio from the DVD disks directly. This DVD ripper is able to burn all kinds of data to DVD’s very easily. It supports HD MOV, HD MKV, 4k MP4 and many other audio video formats. •	Supports all popular video and audio formats to burn in disk. •	With the help of this program you can also edit the videos. •	It burns the data in original quality. •	Allows you to convert the files in DVD formats. •	Internal DVD player allows you to play your DVD’s. 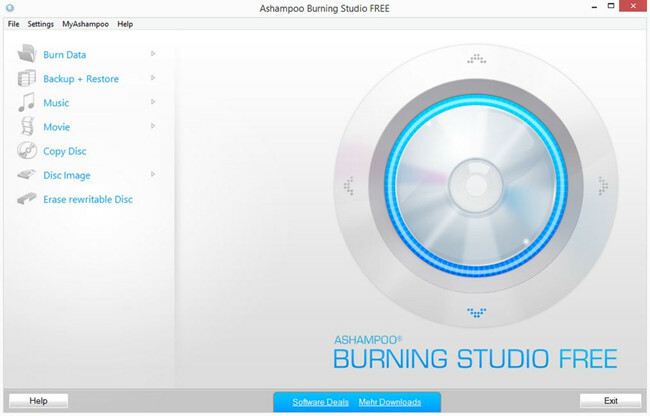 Ashampoo Burning Studio allows users to burn DVD, CD and Blu-ray disk for free of cost. There are two versions of the program available free and paid. If you are going to use the software for personal use then free version is enough for you. For the advanced burning needs you can go for the paid version of software. With the help of this software you can also rip the audio CD’s to play on your home CD player or your car stereo. •	You can burn all kinds of data to DVD, CD or Blu-ray disks. •	It supports full HD and HD videos. •	Allows you play videos as well. •	You can view the history and recover up to 20 last projects. 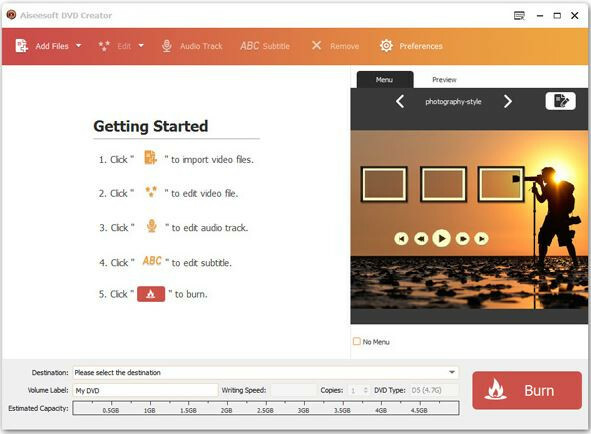 •	A video editor is also available there. Real player is the most popular player to play all format files with ease. It also supports burning the disks. We have already introduced the detailed description about the real player so let’s see how to use real player CD burner to burn disks now. Step 1. 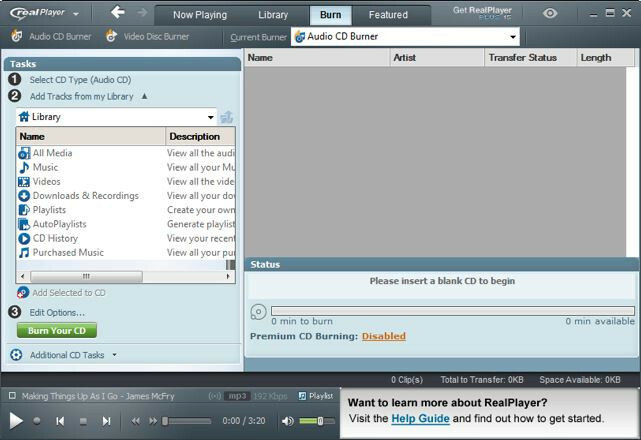 Firstly start real player CD burner on your system and then hit the “Burn” at the top navigation bar. Step 2. When you click on the Burn tab you will be asked to choose type of CD through a popup box. You will see 3 options in the popup box: Audio CD, MP3 CD and data CD. Select anyone and click “Ok” button. Step 3. Now look at the left side of real player CD burner interface. Click on the “Add tracks from my Library” option under the tasks. Now select the music which you want to burn in disk from your computer. Step 4. Before starting the disk burning you need to set the disk burning speed. In the left side under tasks you need to click on the “Edit Options” to select the speed. You can select any speed but we would like you to recommend choose average or slow speed to burn the data in original quality. Step 5. Finally you need to click on the green color “Burn your CD” button under tasks. Now the real player will start burning your CD at the selected speed. You can see the progress in progress bar. This is about to burn CD using the real player CD burner software with ease. 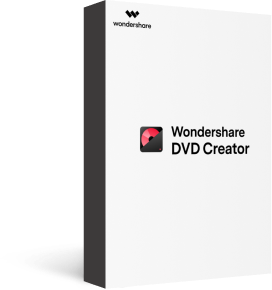 Wondershare DVD Creator is the most powerful and professional software that solve all your disk burning problems. The software is really easy to use and offers advanced features such as video editing, photo slideshow maker and DVD menu templates etc. This program can fulfill all your needs of burning disks with ease. You can create backup of video, audio or any other files using this software. It is fully compatible in burning data disks as well so you can backup important documents to the disk as well with the program. You'll need to download and install Wondershare DVD Creator on your computer, then start it. In the welcome screen, you'll see several options. 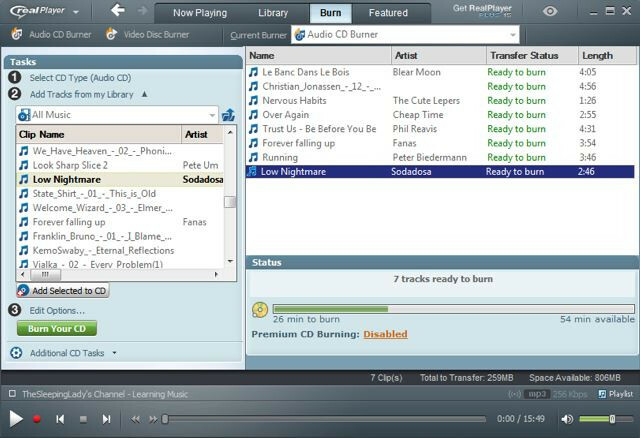 If you want to burn music files to CD discs, you can choose the CD Burner function. Next, you need to add audio files to the program for burning. 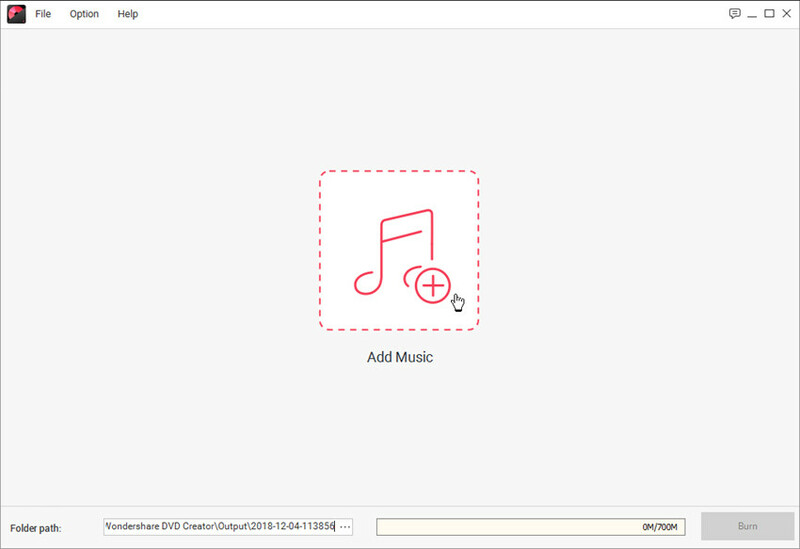 You can either drag and drop the music files into the program window, or click the Add Music icon in the middle of the screen to add music from your computer. When you've added all the music files into the program window, you're allowed to arrange the order of the music files by dragging them to the place you want. After that, you can click the Burn button at the lower right bottom to start burning music to CD immediately. With the all above programs discussed in this article now you can easily burn the disks but still they comes with the hard interface and less features. You can select any program from the above programs. 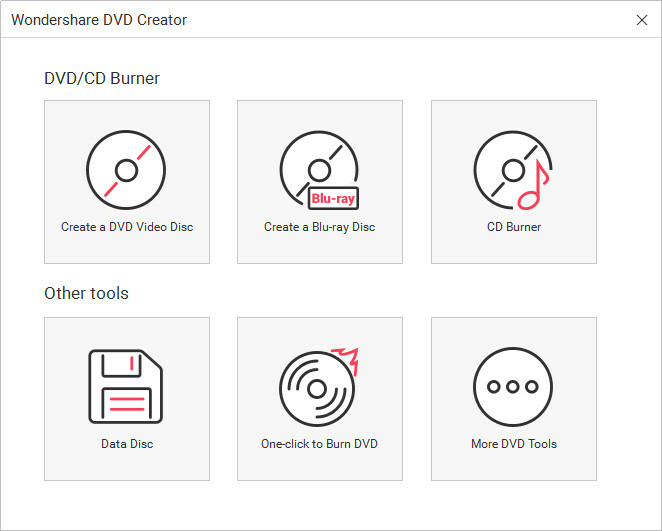 According to our research related to interface, burning speed, high quality burning and some other aspects we have found Wondershare DVD Creator program as the best one. The program burned the disks faster and in the original quality while testing. So we would like you to try this software because it fulfill all basic to advanced level disk burning needs of users.